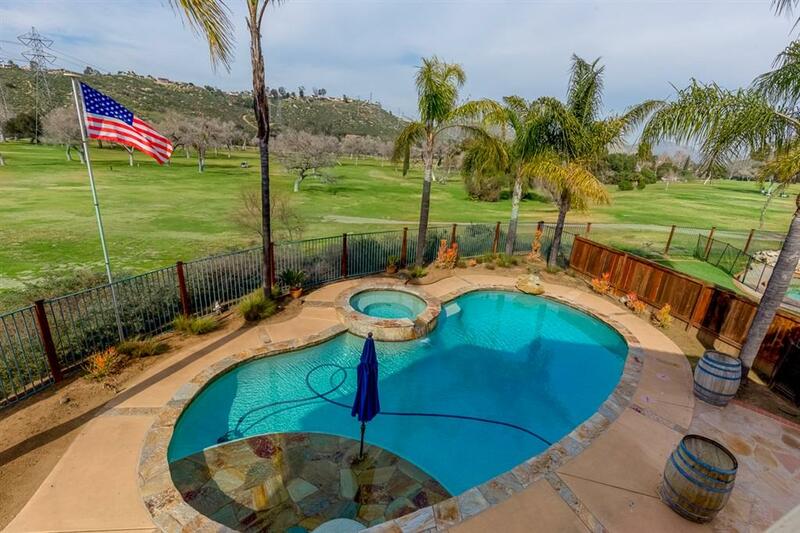 Rarely available 5 BR, 3 BA pano golf course view 'La Tierra' home in one of the finest neighborhoods in Rancho San Diego. As you enter you are greeted by an abundance of natural light that fills the tall cathedral ceilings. Warm and inviting, this open concept kitchen with center island has plenty of cabinet space and is connected to a large family room with a cozy fireplace. 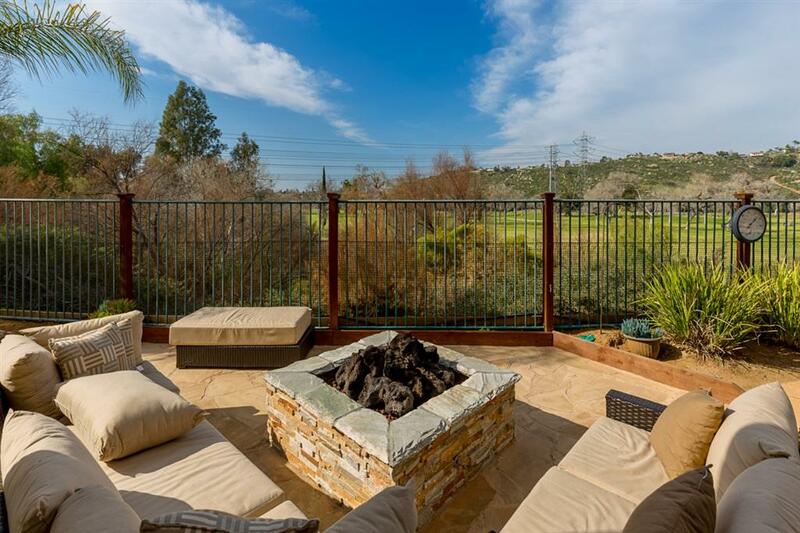 Entertain in style with tropical pebble bottom pool,spa, and fire pit all overlooking gorgeous golf course views. Pride of ownership and community atmosphere are just the beginning when you approach this beautiful home. 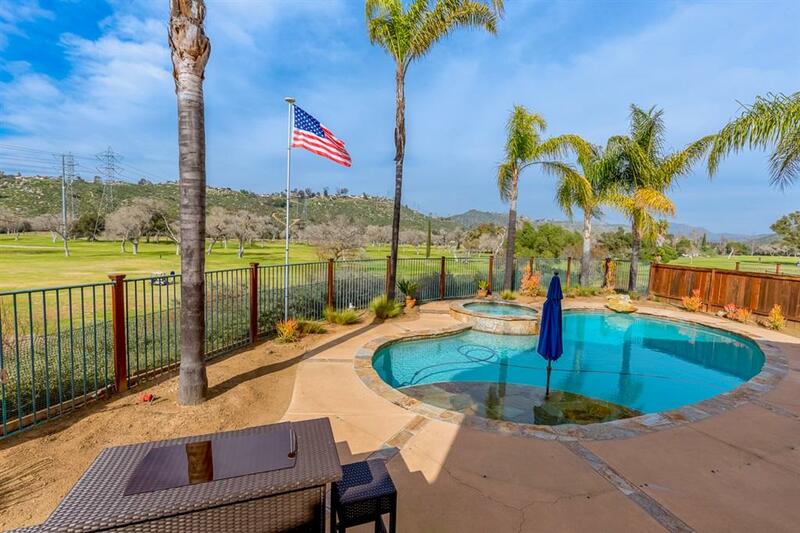 Situated in the heart of Rancho San Diego's desirable Steele Canyon area, you will enjoy the many benefits of great schools, several golf courses, family friendly parks, hiking trails, and a variety of shopping all within very close distance. The interior features loads of amenities including multiple windows which allow you to enjoy the private view of the golf course. Upstairs are four of the five large bedrooms. The spacious master bedroom has a balcony which overlooks the golf course. The back yard backs up to Cottonwood golf course. This home is on a cul de sac, so the large pie shaped lot gives you lots to room for the kids. 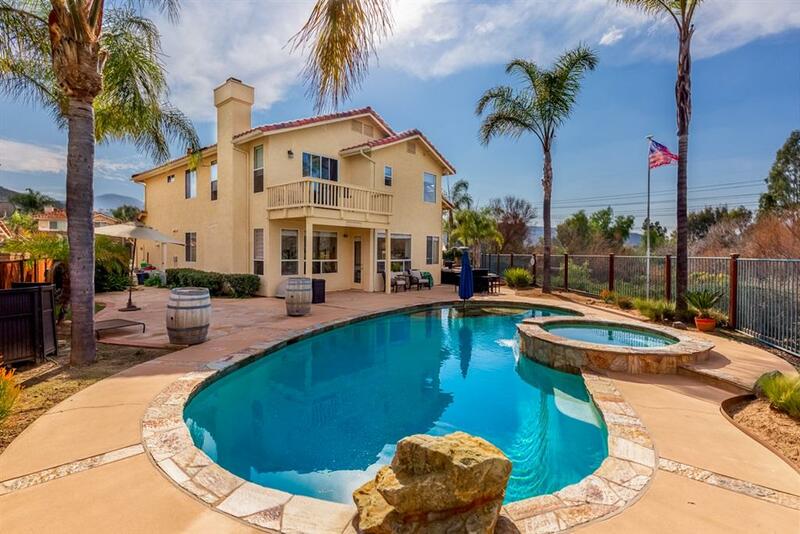 The large sparkling pool and spa along with patio and other areas make this great for entertaining. Buyer to verify any and all information including community information and square footage.